When we hear the name combat boots, the first thing that comes to our minds is army soldiers. The reason is that these amazing boots were inspired by the military shoes that soldiers wear as a part of their uniform as they need to go through long hours of walking, running or jogging which is a part of their duties. 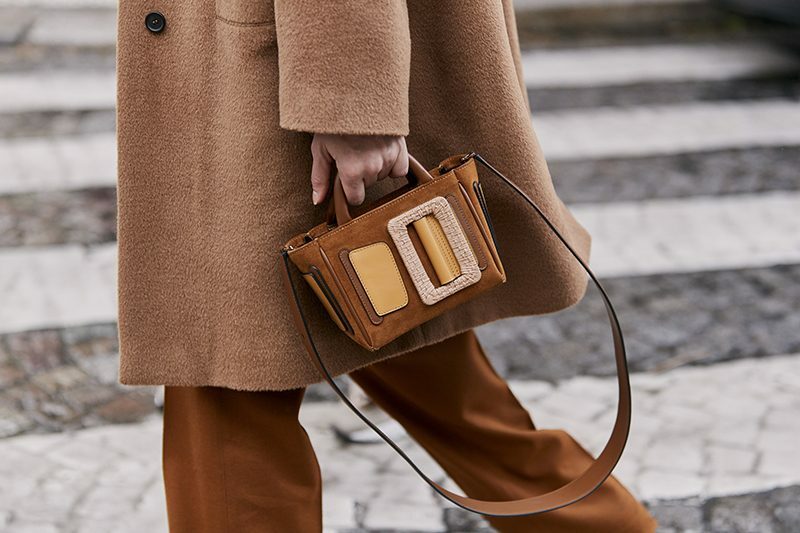 However, when it comes to fashion trends, brands always look out for options that fashion-lovers would go crazy over, like this trend. Combat boots have widely become popular and are being worn on jeans to even lady-like dresses (skirts etc.) 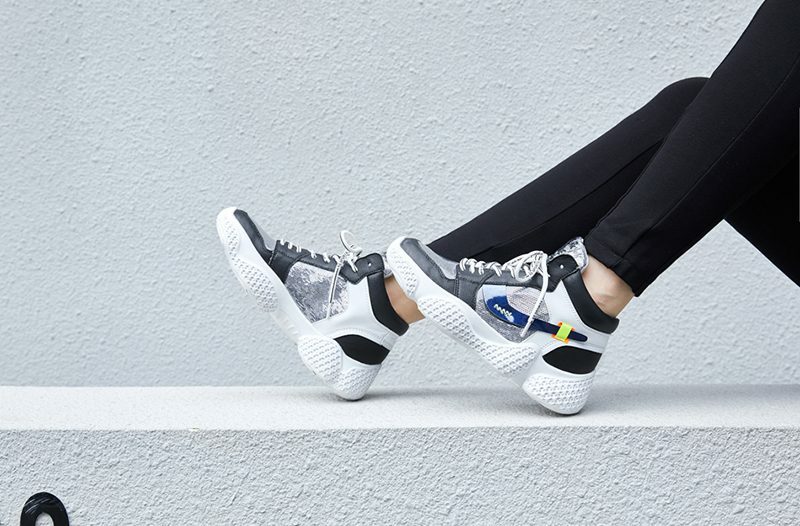 From baby pink ankle boots to knee high sneaker boots, there is a whole lot of variables that can be found in this shoe category that would lift up any outfit that one may wear for a casual look or even formal attire. 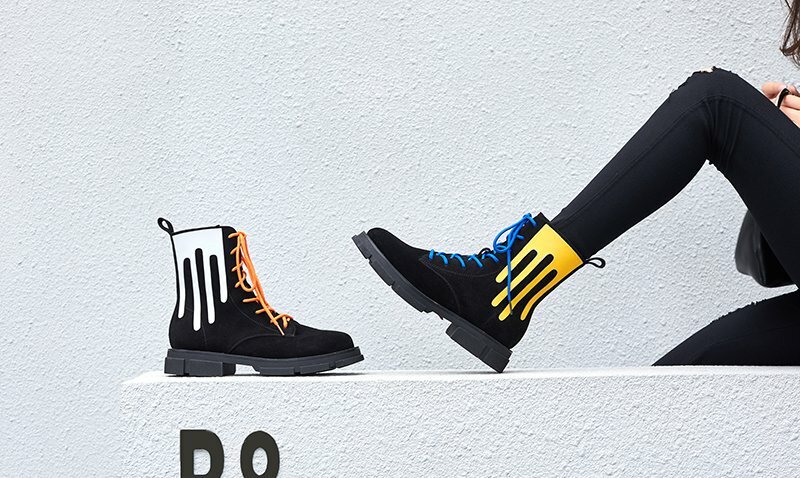 To have an idea of what varieties one may find in these shoe category, read ahead to discover amazing styles of combat boots. 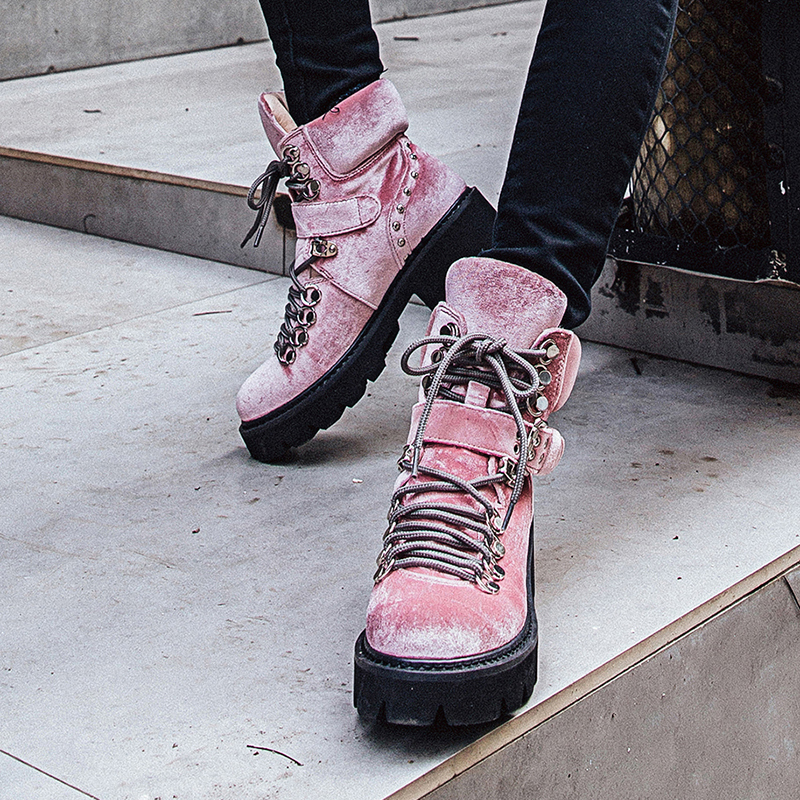 Although, these boots are mostly found dull colored, such as dirty-green, ash brown or black, fashion has added its own unique color range that is, baby pink. 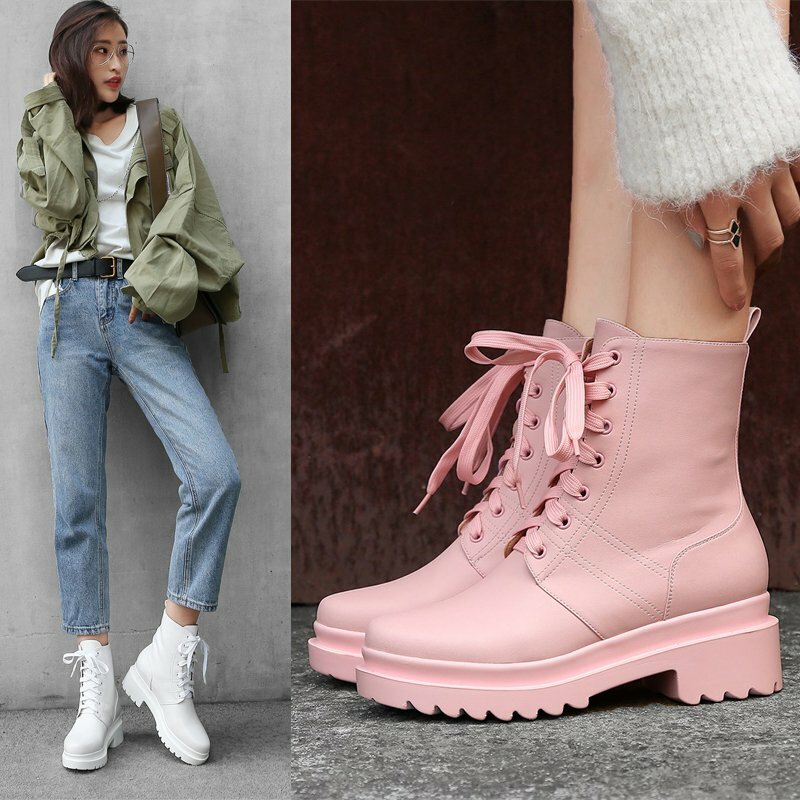 With this super-cute touch of baby pink, one may look adorable as well as fierce due to the heavy-looking sole and body of these boots which seems like it may crush one’s soul if stepped upon it. 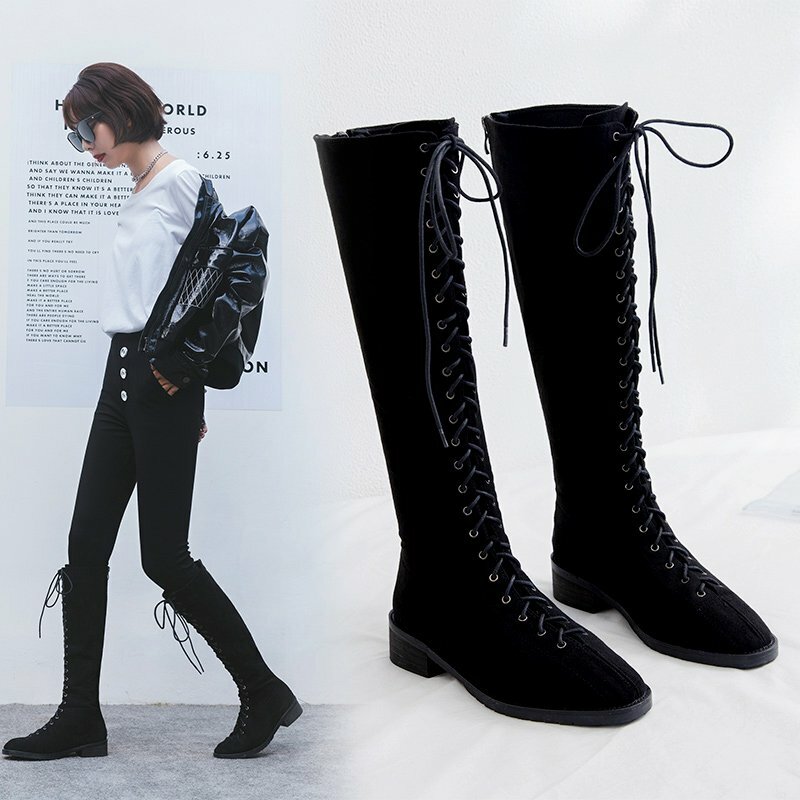 If one wants to style combat boots on a nice dress or even a skirt, then they should try wearing knee high or thigh high combat boots. 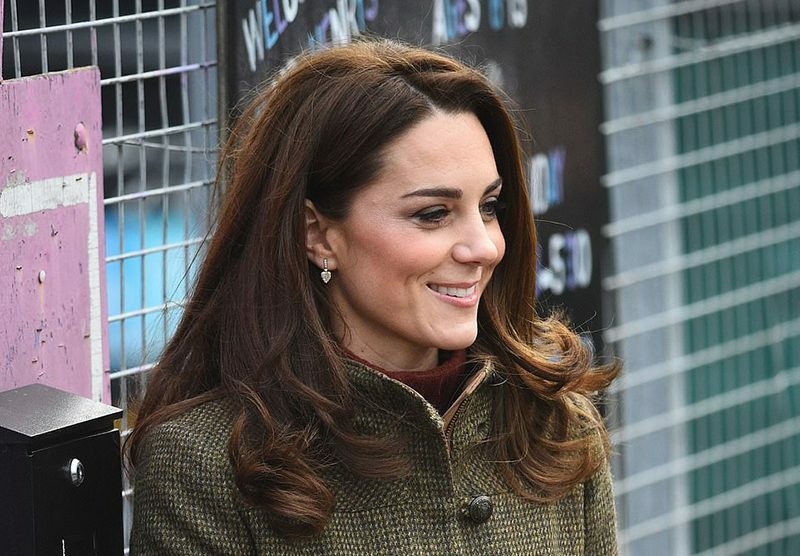 They are perfect match with stylish cold weather outfit. The high combat boots reach up just below or above the knee and look super chic for an eye-catching winter style. Skinny jeans also works with these lace up high boots style. 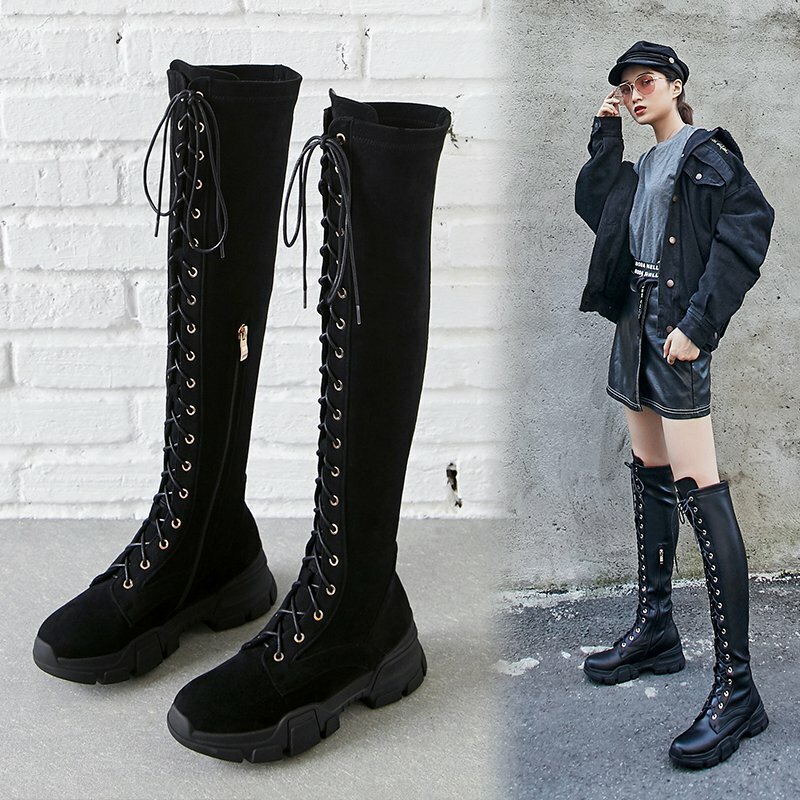 For elongated leg silhouette, flatform combat boots are the right option to avail. The sole is equally leveled and the front body is a round-toe with a lace-up front. 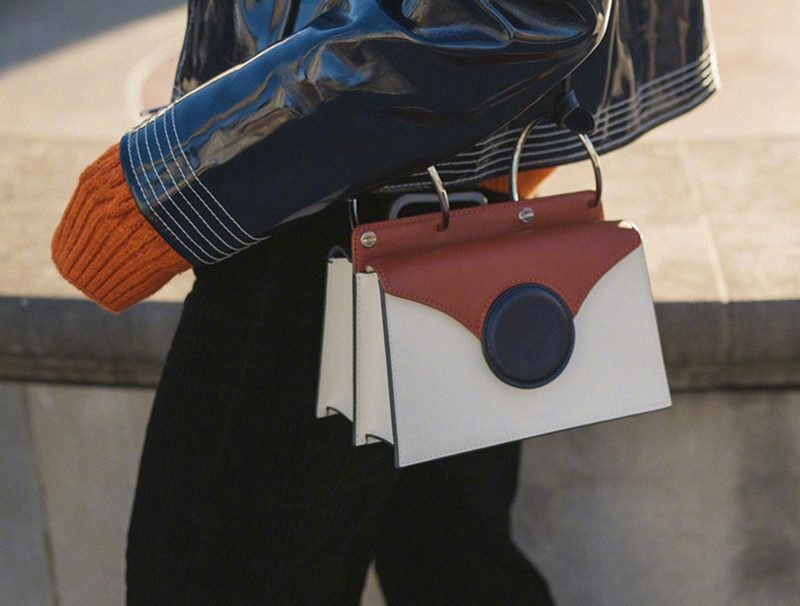 They are comfortable to walk around while look effortlessly cool.